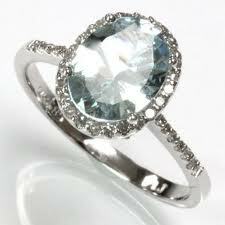 I think most women love a beautiful piece of Jewelry myself included. My fascination with all things bling started with seeing pictures of my Grandma from the 50’s all decked out, WOW she looked like Rita Hayworth, Hollywood glamour. I remember I would ask her “where were you going in this picture Grandma?” and she would say” just to dinner with friends”, I guess a lot of people really dressed up back then. She would always let me try on her fancy jewelry and I would love it! I’m going to go ahead and publicly blame her for my lifelong jewelry obsession, right here and now. I think many jewelry pieces are sooooooo pretty but this post is focused on my obsession with antique, vintage style rings. 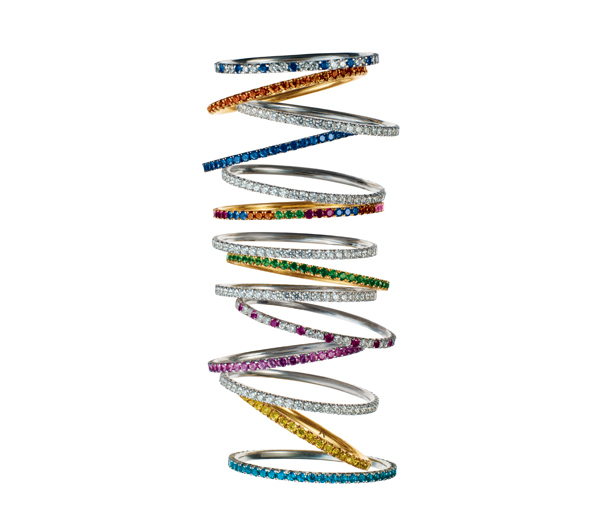 I am loving Micropave, halo settings, eternity bands and COLOR as in gemstones. Princess Diana had it right with that sapphire wedding ring, I am also starting to see a lot of color on the left hand and I’m excited about it. 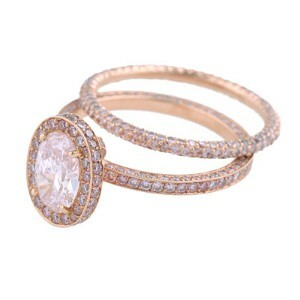 Here are some pictures of some beautiful rings in the style I LOVE! P.S. These photos are all from a fun ring forum site called pricescope where people (mostly ladies and a few smart dudes) from all over the world share pictures and discuss all things RING, I will admit I’m addicted. 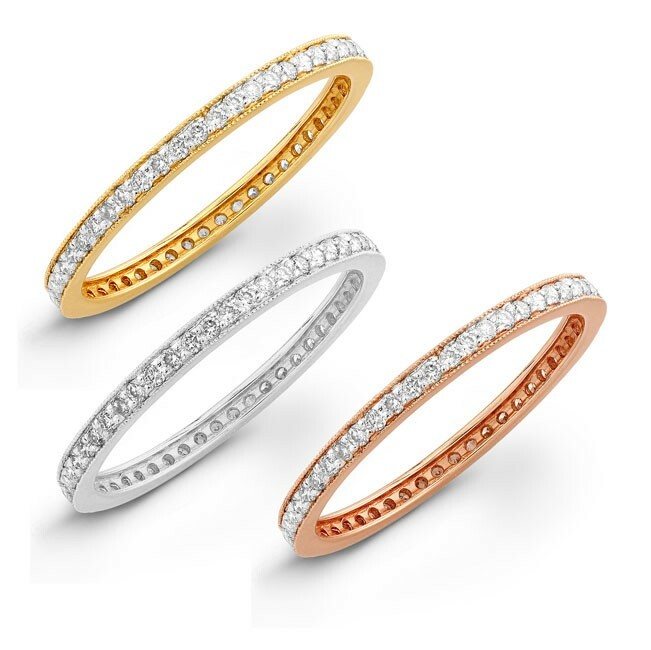 As you can see I am a fan of color *especially pink, micropave, halo settings and thin dainty eternity bands (1-2 mm) So you’ll understand why I flipped when I saw this Neil Lane stunner below. 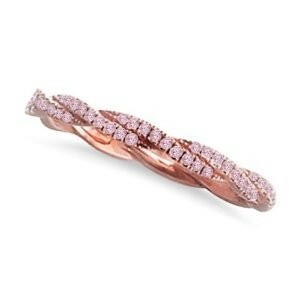 A 1.75 carat Pink diamond halo set in rose gold, matching 1.5 mm eternity band and only $130,000 for the set! 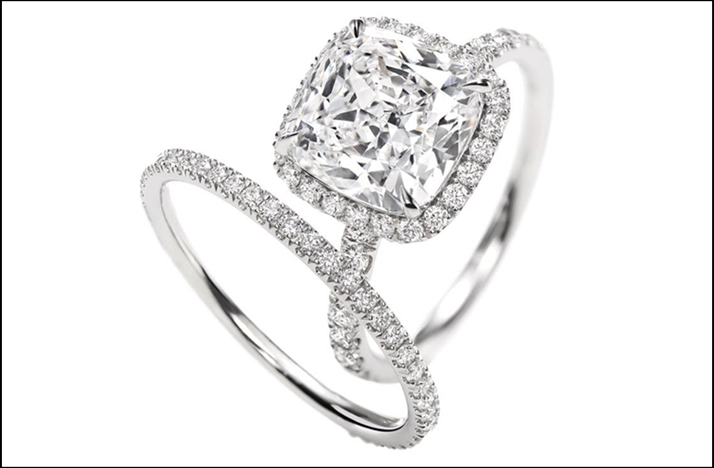 0r $385,000 if I upgrade to the 3 carat size I prefer. uuuuuuhhhhh I don’t know about you but I don’t have an extra $385,000 lying around the house. So I had to think of my options. 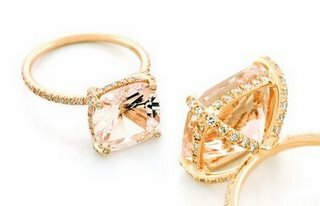 I knew I wanted PINK although not too pink and over the top , definitely wanted rose gold, dainty band, diamonds everywhere yadda yadda. So I started looking and asking around and found Lauren K. She had amazing jewelry and was known for gemstone work and modern day heirloom pieces. 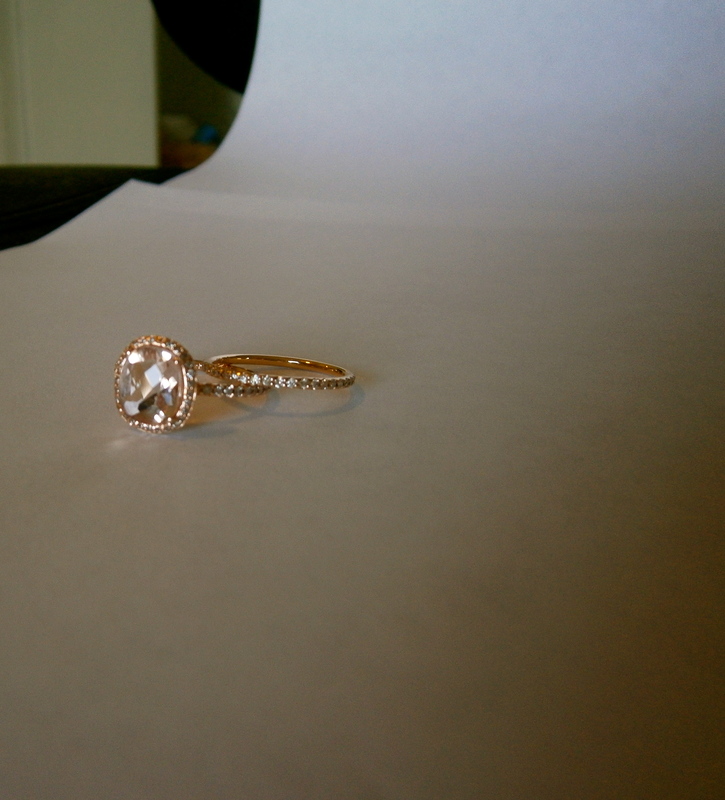 After only 1 phone call we were designing my ring. 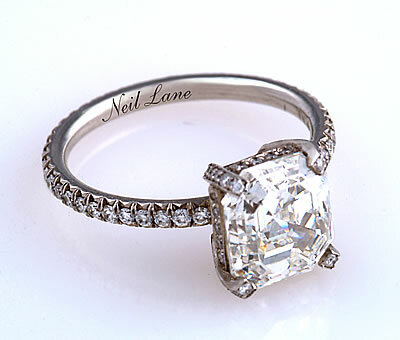 Long story short, we were able to make the ring of my dreams, inspired by the neil lane beauty. 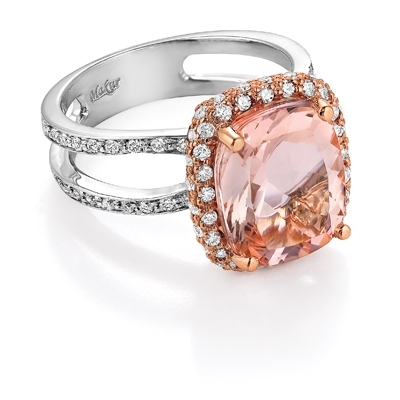 During the process I learned about Morganite , a natural stone discovered by Tiffany’s chief gemologist in the early 1900’s and named after gem collector J.P. Morgan, and it’s beautiful sparkly peachy pink hue. OMG what??? 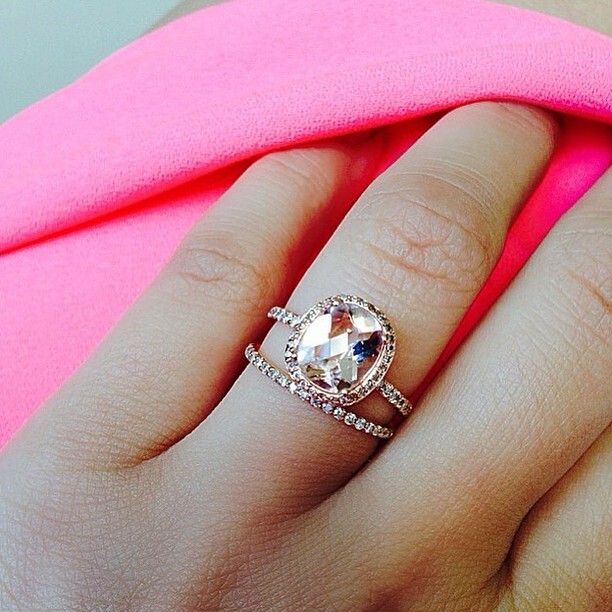 I could have the pink ring I had always dreamed of ??? and for a fraction of the price and I mean a small fraction. 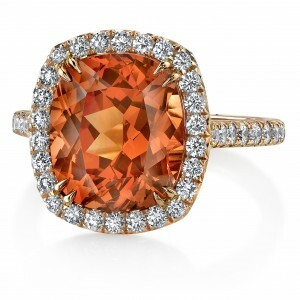 While morganite isn’t necessarily inexpensive, it is definitely not as expensive as a pink diamond of the same size. 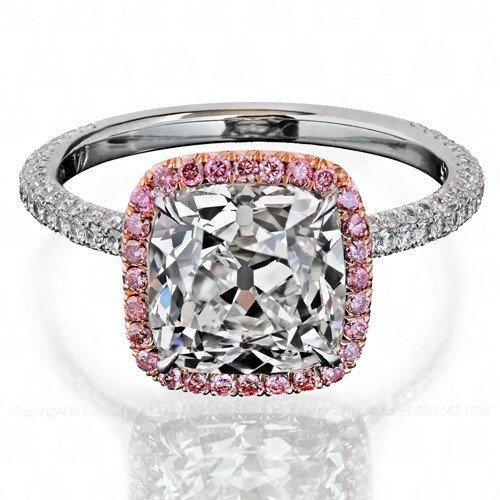 The biggest cost of a wedding ring is the Diamond center stone, if you swap it out with a colored gemstone the cost drops drastically, which also allowed me to get a 3 carat Morganite which is my favorite size of stone ,it’s a large enough size to make a sparkly statement without looking ridiculous. I am sooooo happy with the final product and am absolutely in love with my ring. Details: 3 carat Cushion cut Morganite halo set in rose gold surrounded in micropave white diamonds with matching eternity band (tdw 1.25 carats). 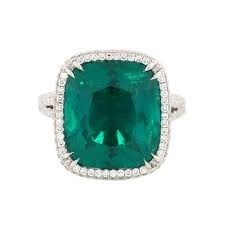 It is also a”float” setting meaning there are no prongs or metal under the center stone, allowing more light to come from underneath for added “fire” aka sparkle:) Band width 1.5 mm. I included a few pics in different lighting to show all the hues. It seems to change from pink to peach to a champagne color depending on the light and how tan I am. Halo settings and pave are my jam!!! Side View of the float setting! 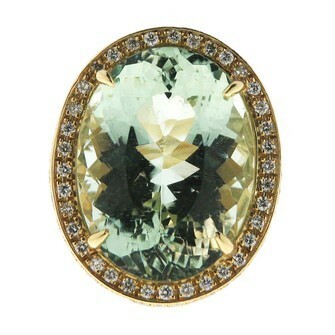 *Lauren K no longer does custom work, however her ready to wear jewelry is available at Bergdorf Goodman. 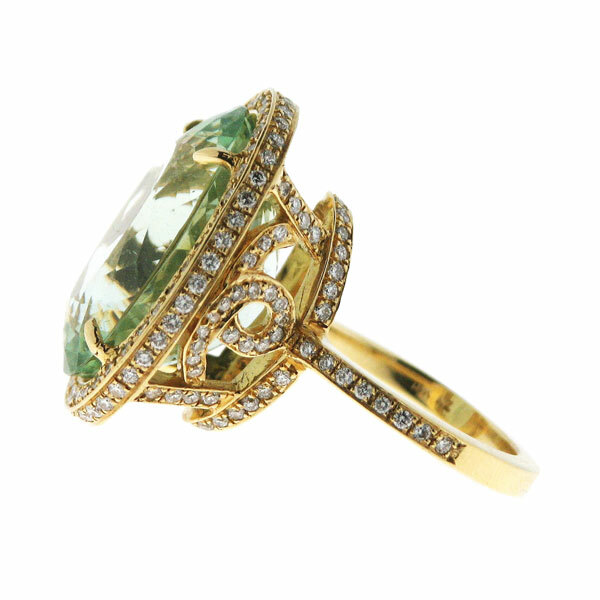 Laurie Sarah is my next favorite designer that specializes in gemstone work and is very affordable. Check out her site HERE. 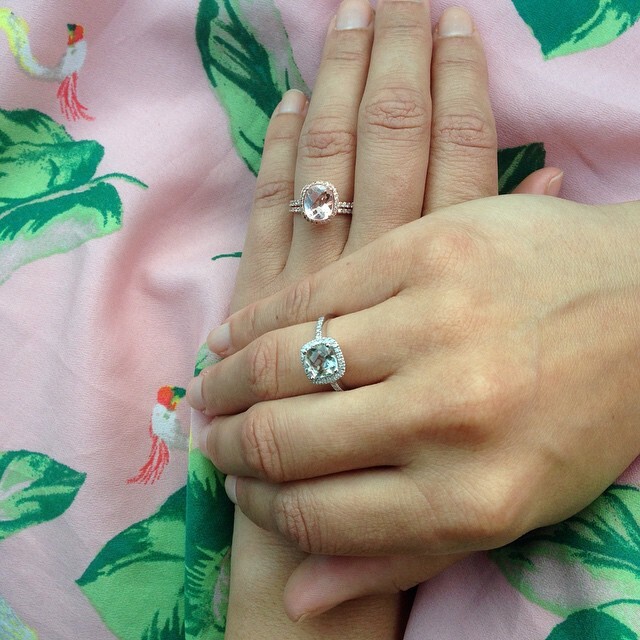 She and her husband design a lot of rings that look very similar to mine. You have great taste in jewelry.All of these rings are beautiful,especially yours, my goodness it’s amazing. Thanks for sharing. You’re a girl after my own heart, Journey! 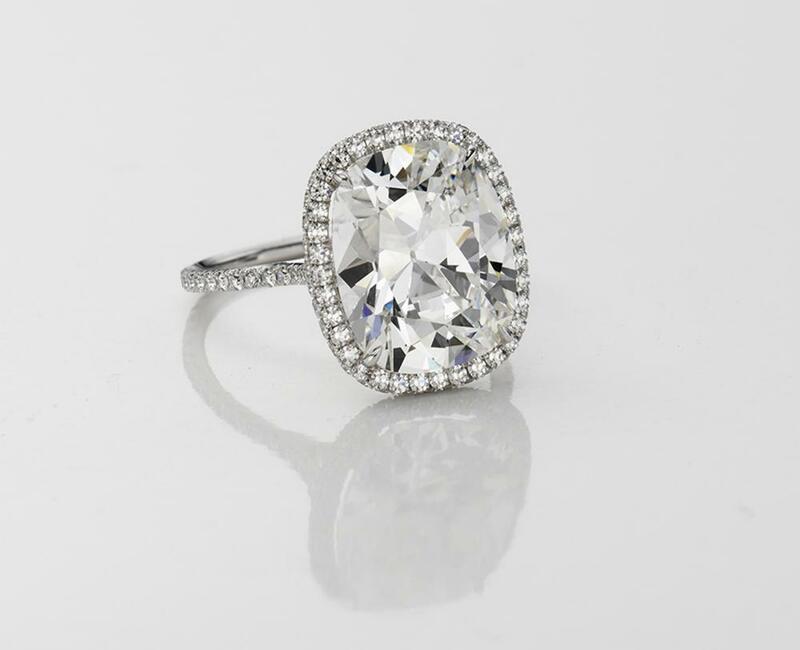 I too, love diamonds and particularly a large cushion cut stone on thin pave bands is my absolute favorite. 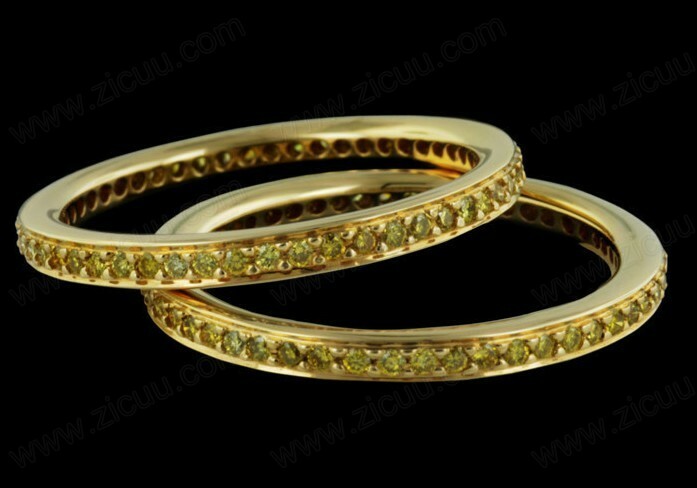 Your rings are beautiful. 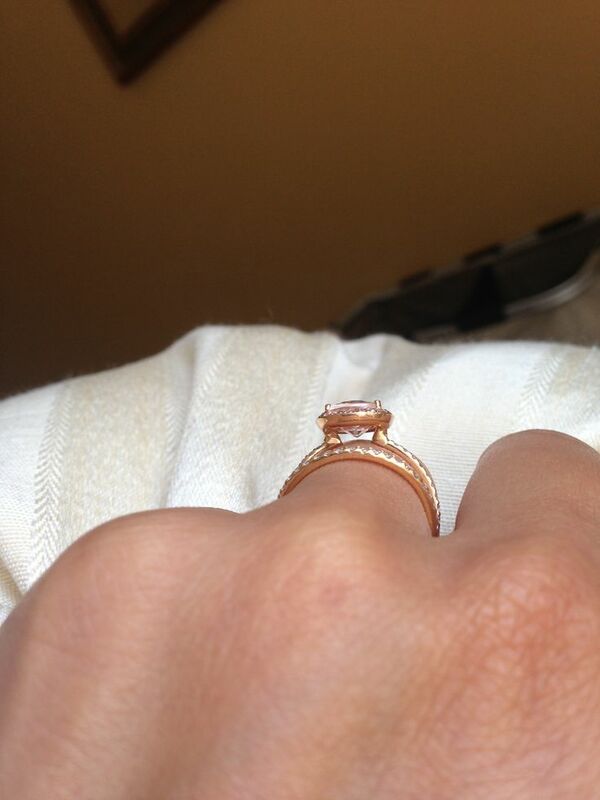 I love that your wife incorporated the rose gold in her ring too. Great post!! Little band, big stone!!!! Sounds like we have the exact same taste in rings. Your ring is absolutely gorgeous! 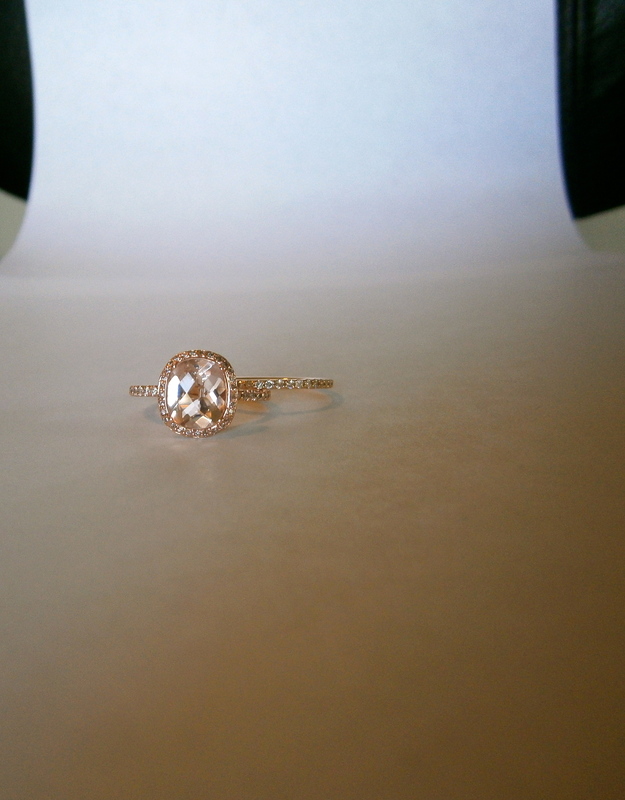 i wanted a morganite ring too! OMG yours is GORGEOUS!!! I love your ring! WOW! I also love your wife’s ring. Is it true that Tungsten is harder than Titanium? your welcome, also Tungsten does not scratch easily ,if it scratches at all. We have yet to find a scratch on my wife’s ring. Message me if you’d like more info on where to but Tungsten rings, I have a great jeweler who specializes in unique tungsten rings. Thank you:) Technically the hardest metal is alloy 1090 , but they don’t make rings out of it, so tungsten would be the hardest metal in the word that you can form into a ring. It’s 10 times harder than 18k gold,5 times harder than steel and 4 times harder than Titanium. Although tungsten is not indestructible, it’s pretty much impossible to destroy. The hardness is a plus in most respects BUT it’s very hard to engrave just in case yo had that in mind. Other than that It’s a great metal that doesn’t tarnish and is very shiny. 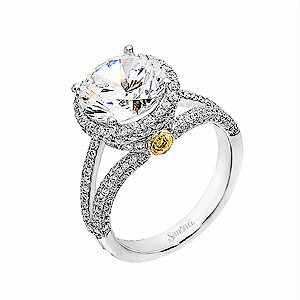 WOW your ring is a dream! 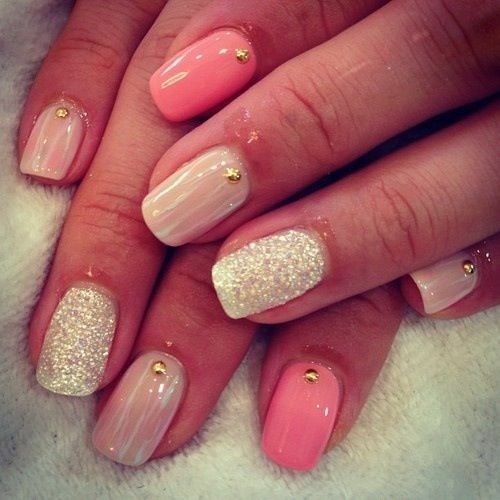 I love these styles! and your ring is pretty amazing! hi, could you please add a picture of the side view of the setting. thanks! Hi, I uploaded a side view picture and a couple others in different lighting! I’m back to look at this again.Your ring is stunning! 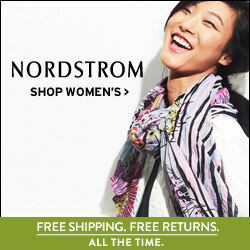 I am bookmarking this and showing it to my boyfriend! I have the same taste in rings! Cushion all the way and pave! your ring is so beautiful. 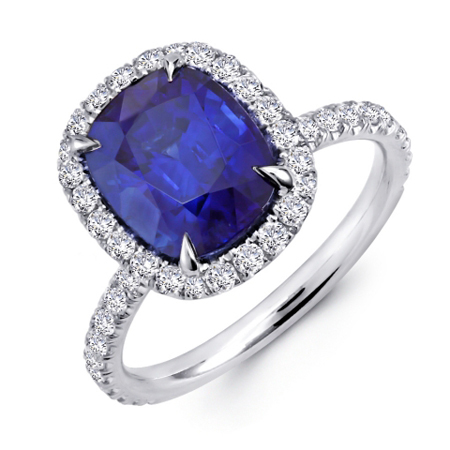 I am drooling at all these beautiful rings! They are the style that I love. Your ring is amazing! Thanks for sharing!